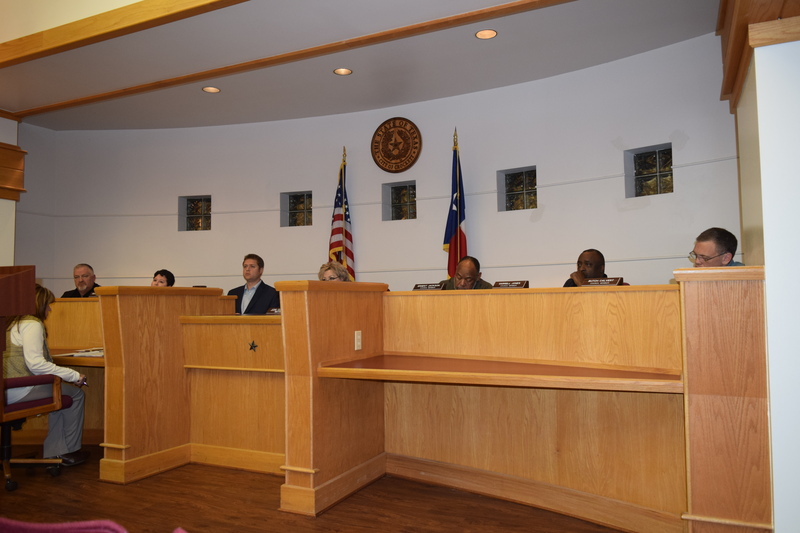 CROCKETT – The transfer of ownership of the former Crockett State School property remains on hold following a Crockett City Council meeting held on Monday, Jan. 8. Once the meeting was underway, Crockett ISD Superintendent Terry Myers requested to call a joint meeting between the CISD Board of Trustees and the Crockett City Council to order. Prior to the state school matter, Monica Pierre – with the USDA – addressed the council. After discussing how Crockett had benefitted from USDA assistance in restoring the elevated water storage tanks along with the removal and replacement of a ground storage tank, she said the USDA housing program had also been funded for 2018. “The USDA has been speaking with the Crockett Housing Authority (CHA). We wanted to start the New Year off by ensuring we can provide information to the city and individuals of Crockett, especially those in the housing system, about opportunities to become home owners,” she said. Pierre added for additional information on the USDA’s program, the date of Jan. 23 – between 5:30 p.m. and 7 p.m. – has been set aside for a housing seminar on becoming a home owner. The seminar will be held in the community room of the CHA located at 159 George Briggs St. in Crockett. As the meeting continued, City Administrator John Angerstein informed the council because of the way the original contract was structured, garbage rates would see an increase based on the Consumer Price Index (CPI). “From Nov. 1, 2016 until Nov. 1 of 2017, they projected an increase of 3.2 percent. Therefore, Waste Connections will be increasing their rates by 3.2 percent. For a residential homeowner, this will impact them by 60 cents per month,” Angerstein said. A resolution to amend Chapter 10 of the Crockett Code concerning garbage and trash was brought before the council and passed by a 3-2 margin. Mayor Pro Tem Mike Marsh and Councilman Darrell Jones voted against the measure. Crockett Police Chief David “Buddy” Cross reported the police department received 353 calls for service during the month of December which resulted in 56 arrests. There were 59 traffic citations issued and 79 police reports filed. Crockett Fire Chief Jason Frizzell reported the fire department responded to 24 calls during the month of December with one structure fire. Eighteen of the calls were in the city limits while six were in the county. The structure fire was inside the city limits. A resolution to approve the financing of fire-fighting equipment met with unanimous consent from the city council. The Crockett Economic and Industrial Development Corporation monthly report was presented and accepted as information by the city council. A resolution was approved by the council – in agreement with TxDOT – to allow for road closures in February for the Davy Crockett Classic Bike Race.